Additive manufacturing (AM) transforms processes across dozens of industries by using 3D printing for practical manufacturing purposes. AM has a wide variety of applications, including rapid prototyping, simulation, tooling and fixturing, and by replacing the traditional machining of production parts. The benefits of AM range from improved part and assembly strength to efficiency and cost savings in the manufacturing process. Because Additive Manufacturing parts require less material to create and yield less waste, processes use less of expensive materials and make optimal use of material properties. In addition, AM parts result in designs with more complex internal structures that also preserve strength and structural integrity. Given that AM is also faster—parts can be produced in-house, around the clock—it can truly revolutionize traditional manufacturing. Adaptive Corporation is the leading Digital to Physical Product Lifecycle Company that helps streamline business processes, reduce costs and improve efficiencies for customers who need to bring new products to market. 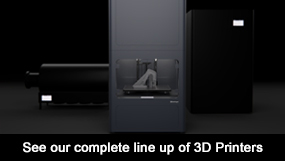 Adaptive provides in-depth knowledge of the Dassault Systèmes 3DEXPERIENCE platform, Markforged 3D printers, and Endurica elastomer fatigue analysis solutions, for companies implementing or expanding their additive manufacturing capabilities. Additive manufacturing, the process of compiling material to build up a part rather than machining material away, can refer to a variety of processes—from material extrusion and material jetting to photopolymerization—but the most popular and available of them is 3D printing. With the advent of affordable machines and innovative printing materials, manufacturers can now have AM devices on-site for rapid prototyping and simulation in support of iterative design. But Additive Manufacturing isn’t just for prototypes. Many manufacturers have found it to be a cost-effective replacement for traditional machining, using it to create tooling, as well as small-quantity production parts. With AM, added part complexity doesn’t increase printing (production) costs, and could even reduce it by using less material, which often results in stronger, better parts. With the recent advances in printer and materials technology, the unthinkable has happened: 3D printing is now utilized for practical manufacturing applications. AM, which started by printing with nylon and plastic, is no longer constrained to only those materials. Today, manufacturers such as Markforged make innovative use of production-grade materials—everything from carbon fiber and fiberglass to Kevlar and metal—as well as working on advancements in AM with glass, food, and even live cells. In fact, the next frontier will involve even more innovation in the form of combining multiple materials in a single AM effort, which could lead to more complex, customized implants, tailored combinations of medication in a single pill, and even printed food. Industries that make medical devices, food, household items, and automotive supplies, find ways to improve operational efficiency and ROI through additive manufacturing. In part because of the wide range of materials AM can work with, it’s making the idea of manufacturing process efficiencies relevant even to industries and instances where every part is custom. With the means of both design and production in-house, via CAD systems such as CATIA and SOLIDWORKS and 3D printers, organizations have a lot more options for producing parts, given that both tooling and customized parts can be created with little additional cost—at least compared to traditional production costs. This is most exciting for companies that don’t mass-produce identical products, such as medical manufacturers creating prosthetic devices, custom-fit hearing aids, or crowns for dental restorations. The ease, speed, and low cost of custom parts via AM offer new opportunities to entities big and small—even to individual producers. High-volume manufacturers of items such as shoes or glasses could find it cost-effective to expand their offerings and create custom-fit products for individuals. Small-scale producers could change their business model to produce custom-fit parts. And individual engineers, artists, or enthusiasts could create their own devices or other work. In some cases, AM can eliminate the need for tooling, by directly printing parts. But more often, AM is able to enhance an organization’s maintenance, repair, and operations (MRO) strategy by identifying pain points and cost drivers, factory applications, and MRO equipment that could be improved by AM’s high-strength materials. AM can produce parts cheaper and faster than traditional machining, which can help manufacturers in a variety of ways—to create new tooling and fixtures when existing parts break and even to iterate tools and improve them to make them better or more ergonomic for workers. Companies have reported dramatic savings of both time and cost by producing tooling in-house via AM—reducing tool-development time by 95% in one case and saving hundreds of thousands of dollars in a single year. The ability of AM to create parts with complex shapes with internal structures also helps bring the idea of “tooling” to more than just traditional manufacturing. In the medical industry, for example, AM can create tools that help surgeons learn how to perform surgeries for specific procedures on individual patients. Additive manufacturing helps push the boundaries of what is possible to manufacture—and we’re still only seeing the leading edge of how AM can revolutionize our world. 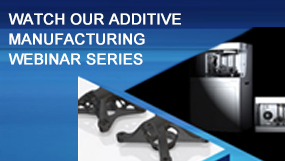 To learn more about how additive manufacturing can improve your processes, visit these pages and links.